What do you get when you love documentation and spinning records at the same time? The correct answer of course is Bombay Cove Records. There is, was, and always will be projects that were destined to be just a recording interest, one-off joke, time or distance related impossibility, or simply a perfectly good band that had the sad misfortune of disbanding before they got their pound of wax. We are here to help. Back in the day we would have simply slapped the sucker to a tape (or more unfortunately a CDR would have been it's fate). But now, through the help of a few true crusaders out there - most notably Peter King in New Zealand; see below pic - Bombay Cove is able to bring to life a scant selection of worthwhile recordings to the turntables of literally tens of people all over the world. Already we have greeted music lovers with a 10" sampler of oddities, Bombay Cove Number 20. It began as a collection of tunes by projects that never quite took flight, however since the time many of the recordings were made, three of the affairs in fact DID grow into full fledged bands. We also set into the grooves of a 7" the documentation of an eerily mysterious all-night recording session in League City, Texas that was presented to us. Through several dynamics involved this has become one of our most notorious releases. Proximity and pedigree earned it a shout out by the now-defunct Houstonist megablog. We have added legitimacy to Y'ALL, a band that was already a known commodity in the form of a hushed chimera around Austin. 3 dudes rippin' it right. Rawness destroys rawness. We released this as our second release ever, but now it has 10 inches and a hole. Next up was a 7" by Esbat, a small but furious power in the vein of Die Kreuzen or VSS. One half-Japanese guy, one Mexican guy, and a guy from China, they were the UN of punk in 2009. If they weren't currently on a break, we'd be falling all over ourselves to release a proper vinyl by them. 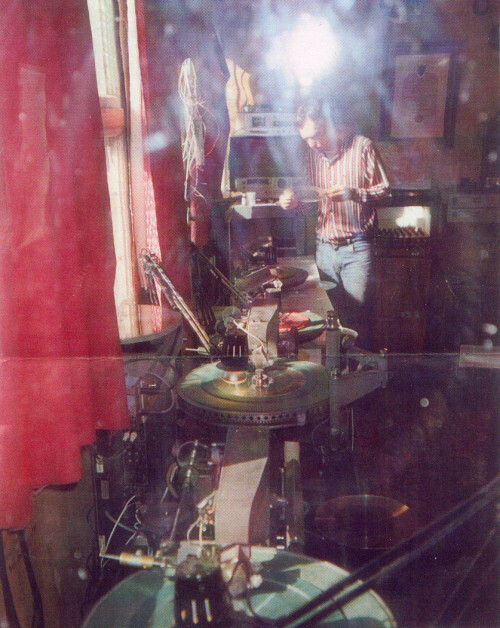 The music on the Lathe 7" was actually mastered by Golden Mastering, Ventura CA. The quality of the Lathe Cut records is a step shy of actual vinyl, but you just gotta crank your stereo up a little, johnny. Crank it up an extra notch because of the guerrilla style nature of many of the recordings. Serve with a 16 oz beer pounder. The musical genres are "anything goes" and completely at the discretion of Bombay Cove head honchos. As you can see above the records have true to life grooves and are as see-through as Predator camoflauge. With the relatively-unknown nature of many of the recordings on here, it's unlikely that these projects are coveted by more than a collection of pals. We do offer them for sale, but due to their limited availability, they won't be around for long and are unlikely to be blessed with a second run (the League City 7" being the exception so far due to it's immense popularity). We're slating a number of indulgences for future hand cut glory. Down the road we plan a lathe reissue of the League City 7", as well as a Bombay Cove Answering Machine EP - a collection of phone messages, be they rude, matter of fact, or funny. Also in the mix is a Live collection, and reboots of our popular T4 and Ghetto Twoilets recordings from an earlier release. Head to the store for available releases, and stay tuned for more. We are really trying to make these special!